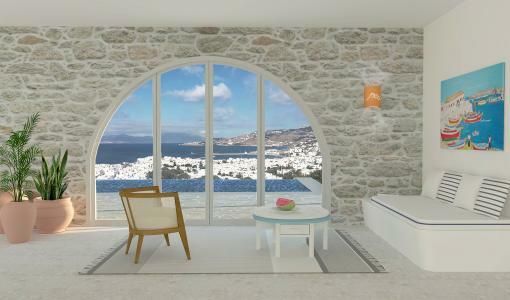 Angelos Bratis collaborates with Belvedere Mykonos Hotel! 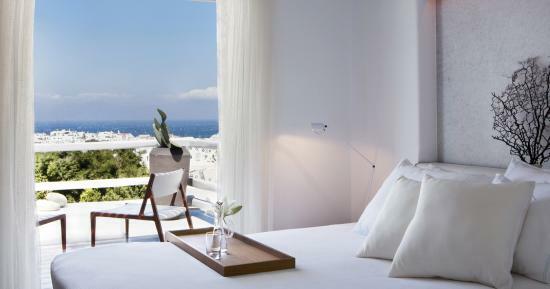 Designer Angelos Bratis blew through the Belvedere like an etesian wind, cleansing the hotel’s sartorial palette with a new range of uniforms that combine Japanese complexity with Cycladic minimalism. A journey with Angelos Bratis, a inspiring greek fashion designer. It’s been quite a year for globetrotting designer Angelos Bratis. 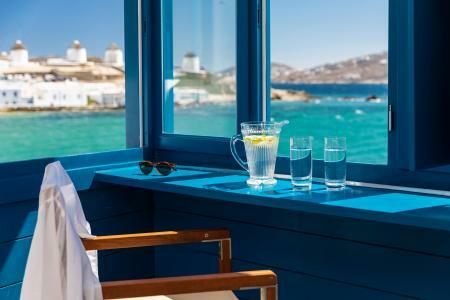 After a string of successes, punctuated by an equal number of trials and tribulations, Bratis has finally made a lifelong dream come true: he has opened his flagship boutique on the island of Mykonos! “People think that working in fashion means living in an ivory tower. 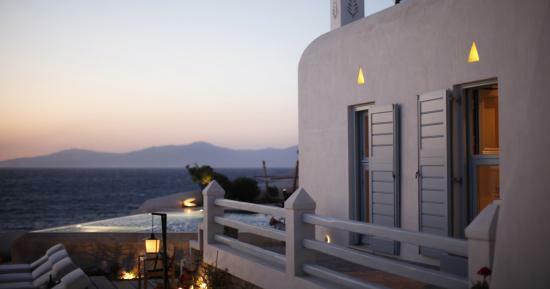 All you have to do is snap your fingers and everything falls into place,” says the designer, newly arrived from the UK and itching to depart for Mykonos, where he will be putting the finishing touches on his namesake store. “But the truth is very different. This is a very competitive business.” 2018 has seen Angelos Bratis navigate a number of exciting challenges with a steadfast hand, from reimagining the Belvedere Hotel uniforms to designing menswear for the first time. Deconstructing the nautical tradition of the Aegean, Bratis created deceptively simple silhouettes reminiscent of Cycladic figurines. “It all goes back to cultural building blocks, like the sari in India and the kimono in Japan. Ancient civilizations have always been obsessed with vestments, and I was heavily influenced by the Greek peplum,” he admits. Most of the women’s uniforms consist of two pieces that loop or fold into one another, symbolizing the cultural crossover that brings visitors and locals closer together. Inspired by the island’s loose sense of geometry and its famously non-linear streets, the Belvedere’s new signature print dominates the silky tops, while cotton canvas grounds the lower part of the body. The men’s uniforms are extremely low key, using vertical lines to elongate the body and solid colors to enhance their Mediterranean mystique. “I had this image of a Greek man in my head who always wears a crisp white shirt to set off his tan and dark facial features,” says the designer.